Photo courtesy of Independent Fashion Bloggers. The wonderful folks over at Independent Fashion Bloggers challenged us to mix Print on Print. And I made their top 10 list with the Cafe La Gaffe outfit worn here. 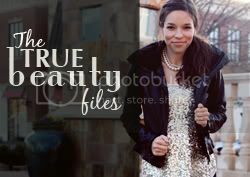 Please check out the post IFB post here, and make sure out all the lovely bloggers and their beautiful style. I love print on print. congratulations! i love mixing prints; such an easy way to re-furbish some of your favorite, tried and true pieces, or, work in a new piece in an unique way. I love the first outfit with the leopard! Perfection! Prints on prints looks amazing! Excusez moi? Not just did you make the list! You are the first one on there! That is great! Congratulations! I love your print on print outfit! Definitely trying it out soon!